I’ve never been a fan of brussels sprouts. Neither has my wife. But I knew they were good for you, and I love roasted vegetables. So I figured I’d give roasted brussels sprouts a try. 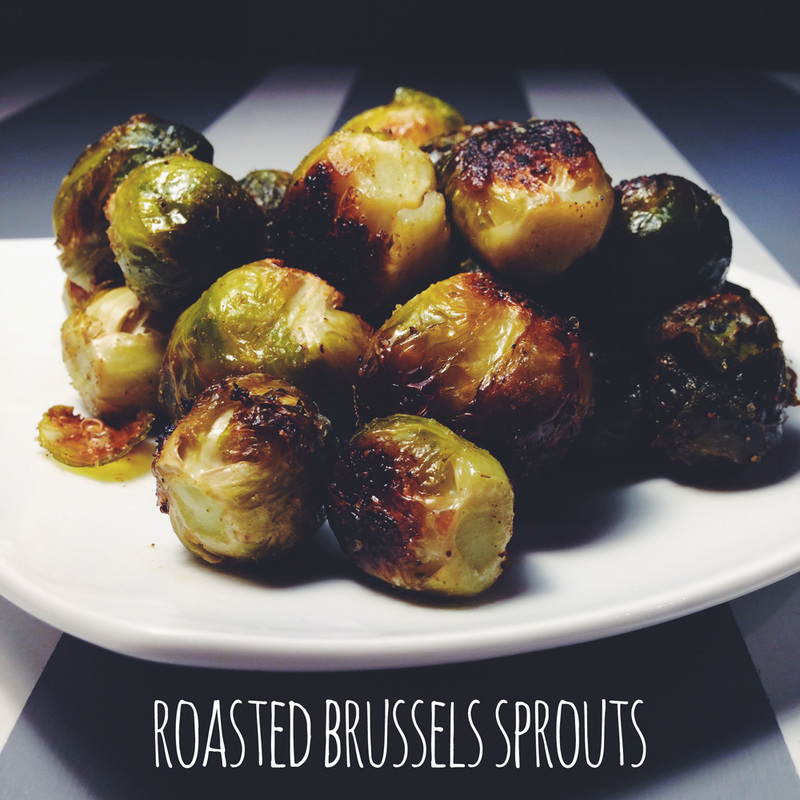 When you roast them for long enough and at a high enough temperature, brussels sprouts can actually be quite delicious. With the right seasonings, these roasted brussels sprouts will become a household favorite. Plus, roasting them on a sheet of foil makes cleanup very easy. Depending on how large they are, you might want anywhere from 6-12 per serving. Rinse them off in the sink. Then chop off the rough bottom parts of the sprouts. Depending on how much of the base you cut off, you’ll lose a few leaves from the bunch. 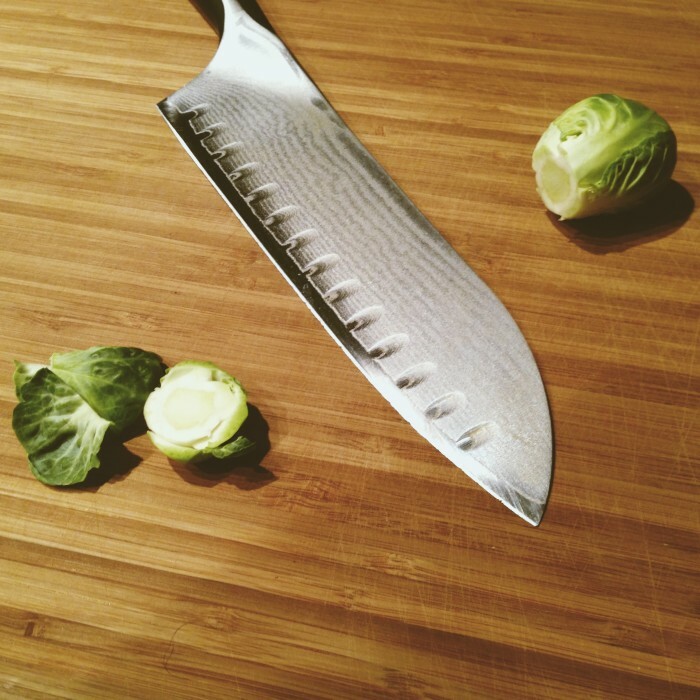 I try to lose as few as possible to get the most out of each brussels sprout. Prepare each one then slice them down the middle into halves—hot dog bun style. These will make the roasting process much quicker and the browned taste (the yummy factor) will be more pervasive in each bite. I’m a huge fan of using as few dishes as possible. 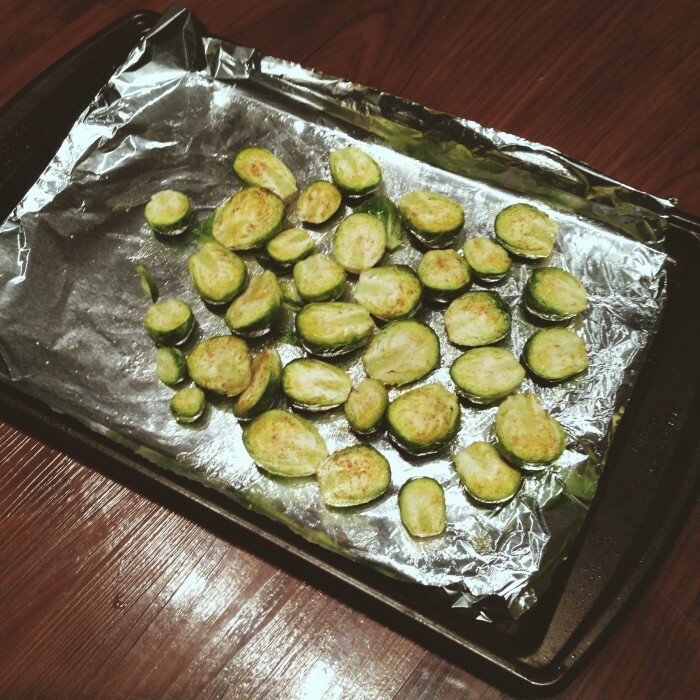 That’s why I line a cookie sheet with foil and dump the prepared brussels sprouts into a pile in the center. I drizzle olive oil over the bunch and throw a large pinch of each seasoning (salt, garlic powder, paprika, and thyme) onto the bunch. Use one large pinch per serving of brussels sprouts. If you used this recipe, I’d love to hear about your success, failures, or modifications. Leave a comment below and let me know what you did. Let’s all learn together.